The three-finger tap is one of OS X's most overlooked multitouch features, but it can also be among the most useful. 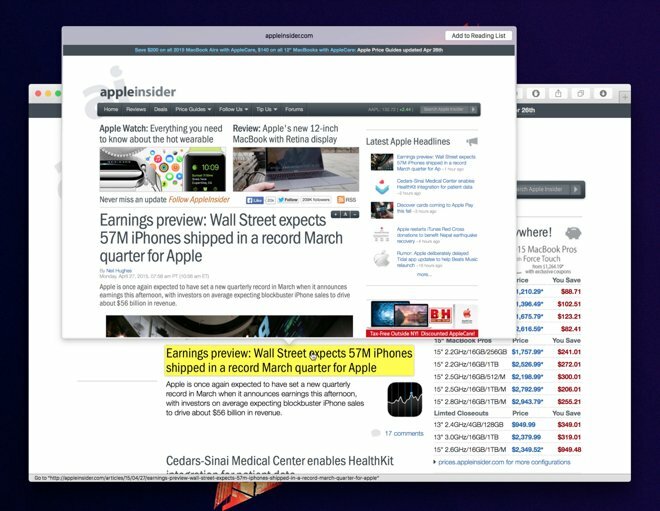 Here's a great way to use it to avoid tab overload in Safari. In OS X Yosemite version 10.10.3, Quick Look's functionality —and its three-finger tap shortcut —has been extended to Safari. Now, using the three-finger tap on a link will open the page or video in a Quick Look popover, letting you see its contents before committing to a new tab. Gone are the days of mindlessly opening dozens of new tabs in the background so you won't lose your place in your current page! To use this feature, make sure you have "Look up" enabled in your trackpad preferences. You can check by opening System Preferences, the navigating to Trackpad -> Point & Click. Once it's enabled, just open Safari and three-finger tap any link. 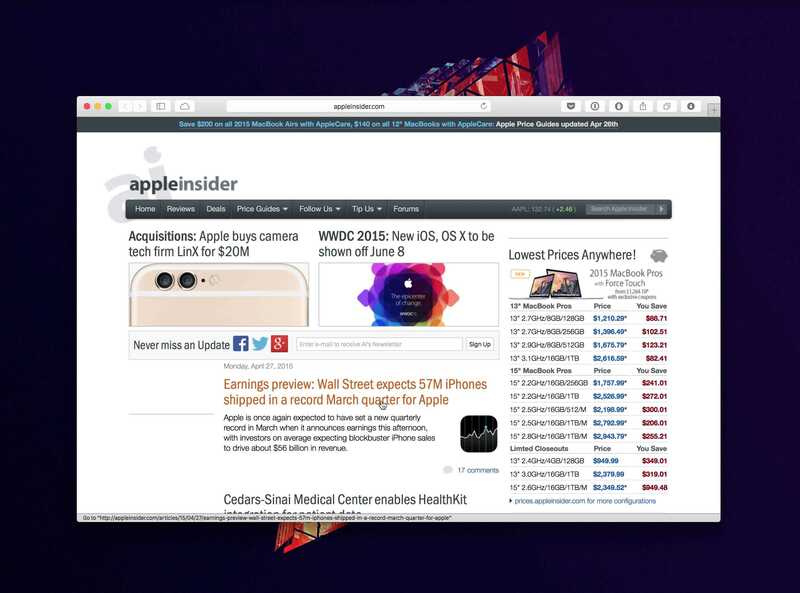 You can also add that page to Reading List directly from the popover, and clicking anywhere inside the popover will automatically open the page in a new Safari tab. Looks like you can't view HTML5 video here - try loading up the original article at AppleInsider.com. Note: This feature doesn't work with the Magic Mouse, though it does work with the Magic Trackpad.